If you would like to attend, please register at: https://www.eventbrite.com/e/bikewalkkcs-complete-streets-advocacy-workshop-series-tickets-44336472583. Once you have registered you will automatically be registered for the other sessions. 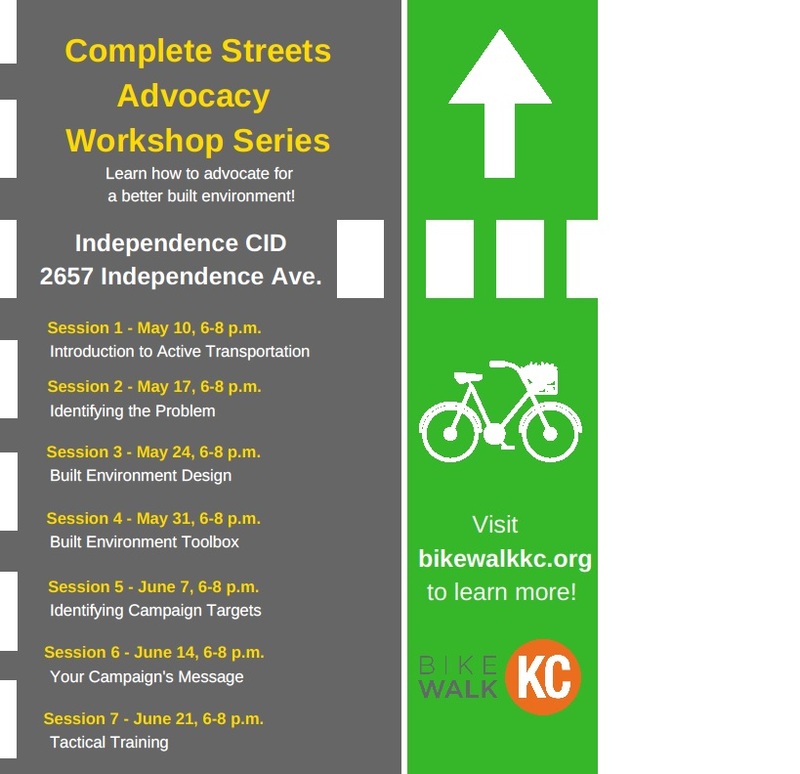 If you have any questions contact Mr. Michael Kelley, Bike Walk KC Policy Coordinator, at michael.kelley@bikewalkkc.org or (816) 205-7056, extension *15.